It’s that time of year where cherry blossom chasers from all corners of the globe will travel from near and far just to witness these vivid blossoms in full bloom. During this annual spring event, streets and parks will come alive in pastel shades of pink and white. And while Japan is best known for these trademark pink flowers, here are some other sakura hotspots that you might want to consider booking a trip to experience this seasonal spectacle. 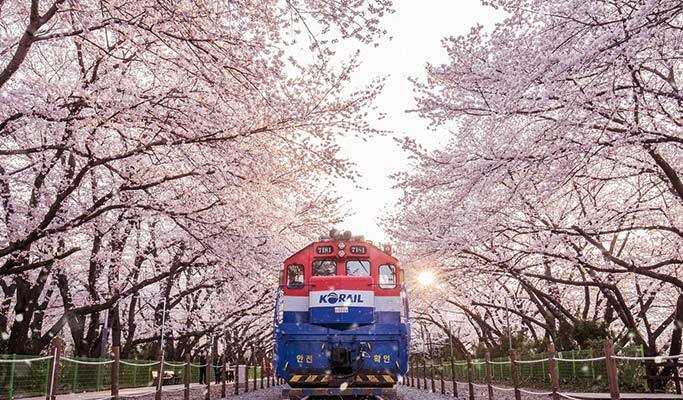 Situated about 20 miles west of South Korea’s second most-populous city, this a quiet coastal town holds the largest cherry blossom festival in South Korea which attracts approximately 2 million visitors every year. Approximately 3,750 cherry trees are said to reside in this man-made inlet. 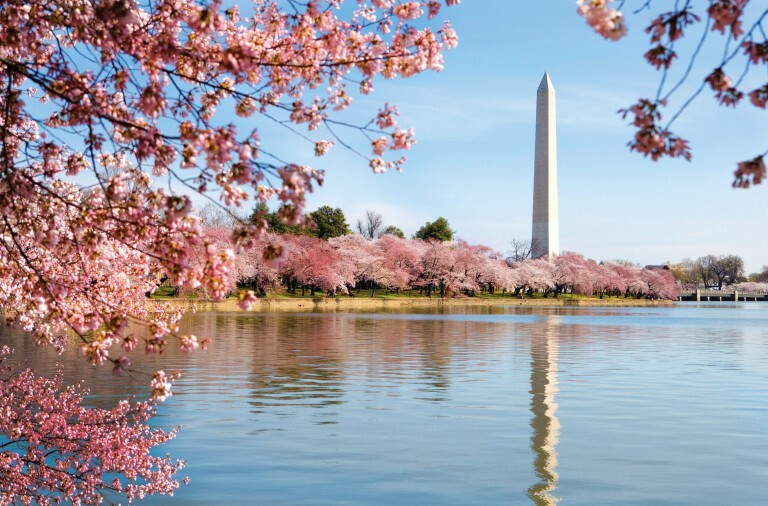 A mere footsteps away from the National Mall, this recreational space is also home to famous historical monuments including the Jefferson Memorial, the Martin Luther King Jr National Memorial and the Franklin Delano Roosevelt Memorial. 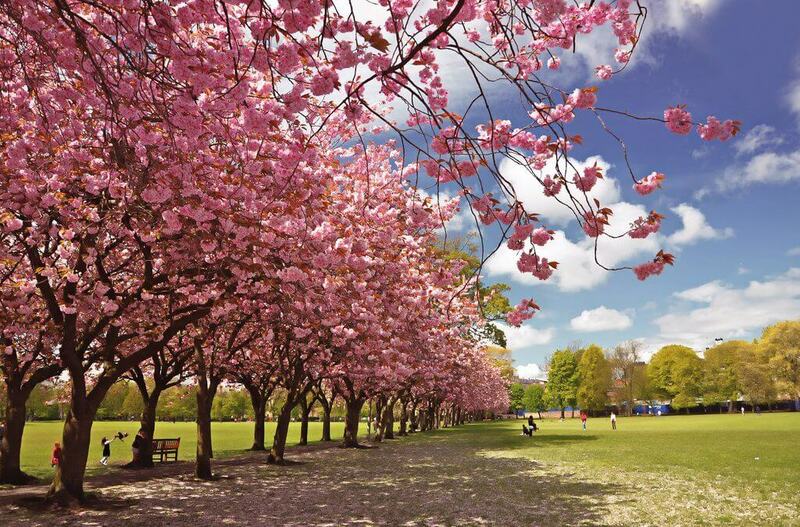 Located south of the city centre, this public park bursts to life with pink and white flowers once spring is in the air. According to locals, predicting when these seasonal flowers will bloom requires keeping an eye out for a red fuzz that spreads over the tree line. 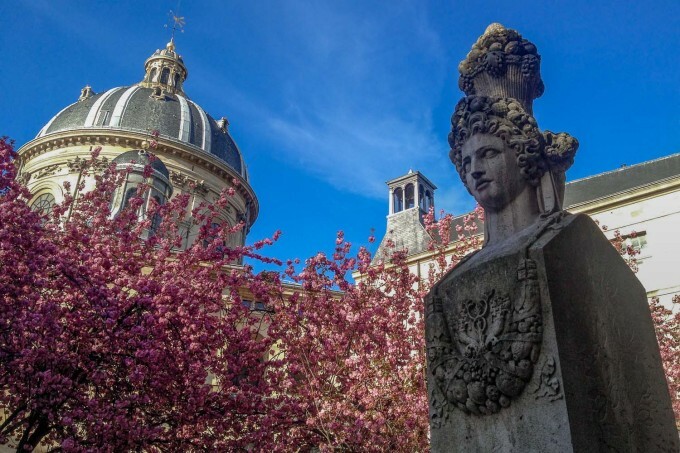 Tucked away just behind the Institut de France, this serene square is an ideal sanctuary for contemplating the meaning of life while enjoying the wonders of nature in the city of lights and romance.